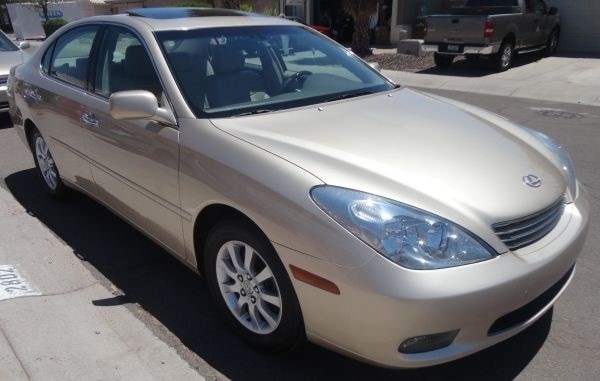 The Florida Highway Patrol is searching for a 2002 to 2006 gold Lexus ES300. 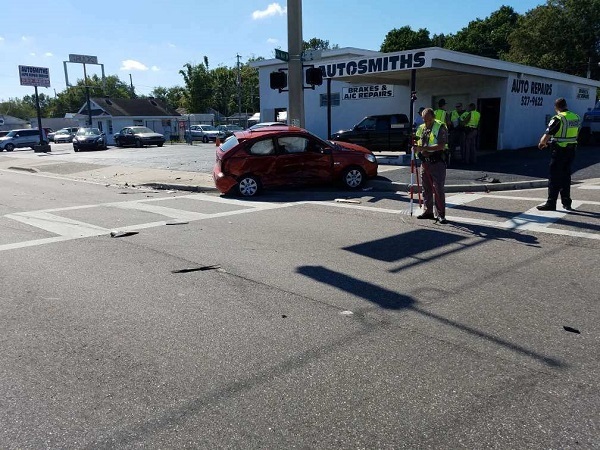 ST. PETERSBURG – A woman is critical after a hit and run traffic crash Tuesday (Nov. 14) morning, the Florida Highway Patrol said. The name of the woman, who is 62 and from St. Petersburg, is being withheld until her next of kin is notified. She was taken to Bayfront Health St. Petersburg with critical injuries. 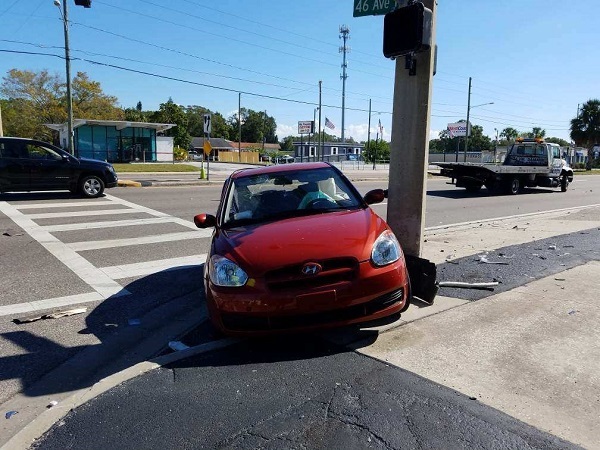 The crash happened about 10:38 a.m. at the intersection of 49th Street and 46th Avenue N. The unnamed woman was driving a 2010 Hyundai Accent north on 49th in the left turn lane. The other vehicle, described as a 2002 to 2006 gold Lexus ES300. was heading south on 49th in the center lane. The Hyundai turned left to head west on 46th and entered the path of oncoming traffic. The Lexus hit the Hyundai, troopers said. The impact pushed the Hyundai to the southwest corner of the intersection where it collided with a utility pole. The Lexus was pushed to the outside travel lane, then fled. It was last seen traveling west on 46th Avenue N.
Debris located at the scene indicated it was a 2002 to 2006 gold Lexus ES300. Anyone with any information is asked to contact the FHP by calling *FHP, or (813) 558-1800. Anyone with information can also contact Crime Stoppers at 800-873-8477 or crimestoppersofpinellas.org.